Are you are looking for a digital piano for yourself or a loved one, but don’t know what to buy? Well, you’ve come to the right place. This article will shed some light on how to choose the best one for your level. Digital pianos have evolved tremendously in the last decade, with new features being added while keeping the sound at a high fidelity level. The offer that’s available on the market now is so varied and rich that it can be difficult to figure out what the best choice for your needs is. But don’t worry, we’ll help you research the options, so you don’t have to go through all this trouble anymore. Read on to see how to pick the best digital piano for different levels. How can you choose a digital piano that right for you? It’s cheaper than acoustic pianos. Compared to an acoustic piano, digital ones are considerably more affordable. Of course, they have a wide price range, but there are options for every level and every bank account. This feature is useful for all levels. The connectivity of a digital piano gives you great options to record and modify the sounds you generate. Check the ways it can connect to other digital devices and see if it’s compatible with what you will use or already have. That can be the ultimate argument if you are on the move and need to be able to carry the instrument with you. Different models have different degrees of portability, so make sure you test that before you purchase. Check how much space it occupies and how easy it is to mount it. You can control the volume. The best digital piano will come with variety of great features, such as controllable volume. That can work wonders for both beginners and experienced piano players. You can even connect your headphones and practice without bothering those around you. It’s an excellent function, especially if you feel uncomfortable knowing that others can hear your struggles. There’s nothing like a real piano, but digital keyboards have some advantages. Here are the features to consider when purchasing a digital piano. The keys are touch responsive. Digital pianos have a system that gives the keys a touch response that allows them to imitate an acoustic piano better. This resistance is similar to what you would have with a classical piano. Pay attention to this feature, especially if you plan on transitioning from or to a classical piano. If that is not the case, this feature is not that important, but it may feel better to use it. Test it and see how it feels before making the purchase. The sound quality should be pleasing to your ears. One of the most important criteria to consider when picking a digital piano is the sound quality. Even if you don’t have a professional musical background, try to compare and evaluate different models. Naturally, cheaper models don’t have an incredible sound quality, but they are still quite good for a beginner that only plans on learning more. Still, try to go with something that sounds like the real thing. Do you want it to have built-in learning tools? Here is one of the best features of a digital piano: it can give you a good start in learning the instrument. With the help of integrated lessons, a metronome function, and helpful displays, a digital piano can introduce an absolute novice to the beautiful music it can make. 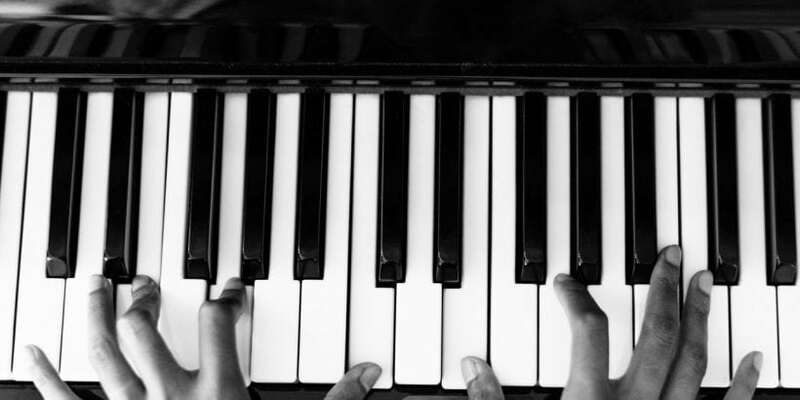 Learning tools include piano lessons designed for every level of practice, being able to record and compare your progress, a complex display, and so in. Digital pianos catered to beginners can also have lit keyboards, and even the possibility to split the keyboard between you and your teacher or other players. Are the built-in speakers good enough (or do you require separate sound amplification)? Another key characteristic to the check when browsing for a digital piano is the amplification of the sound system it uses. Again, it depends on what your level is and what you want to do with it. A beginner may choose a decent quality set of built-in speakers, but not the high-quality, more expensive ones to save some money. A professional musician who will perform needs excellent quality amplifiers and the possibility to connect other equipment to the instrument. The bottom line is that there’s a digital piano out there for every budget and skill level. To be happy with your choice, list your expectations and search for something that will meet most — or all — of your requirements. Guest author, Kostas Chiotis, is a technology buff and blogger. You can visit his blog at Techisignals.com and find him on Social Media.